Search Results for "jeff nix"
Atlanta REIA Thanks Lima One Capital! If you’ve been to the monthly Atlanta REIA meetings, you’ve seen the big blue table topper display and the smiling face of Lima’s representative, Cortney Newmans. Lima One Capital is an active Atlanta REIA Business Member and we thank them for their ongoing participation and support. 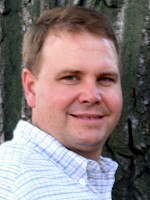 As a fully capitalized, direct lender for residential real estate investors and home builders, with offices in Atlanta, GA Greenville, SC, Charlotte, NC, Lima One is revolutionizing the hard money industry with highly competitive and straightforward rates, the length of their loans, and unmatched customer service. 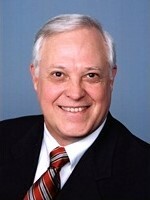 Says Mr. Newmans, “Our loans provide clients with the ability to capitalize on great opportunities in the real estate market… and we hold firm to a policy of no hidden fees and no junk fees; we close quickly and offer our clients the most professional customer service in the industry“. The March 2014 Edition of The Profit Newsletter is available for download just in time for our Atlanta REIA Main Meeting on March 3rd. You can download The Profit Newsletter as a High Quality PDF or Low Res PDF for slower devices. The Profit is the official newsletter of the Atlanta Real Estate Investors Alliance and is a digital, interactive newsletter for new and seasoned real estate investors delivered as an Adobe PDF file to read on your PC, Mac, Smart Phone, iPad or other mobile ready devices with a PDF reader. Many of the articles and ads in The Profit contain many hyperlinks you can click or tap to visit websites, watch videos, listen to audios, download content, send emails, comment on articles, share socially and much more! The high res version of The Profit is “print ready” for those who want to print the newsletter on their home or business printer. Also, be sure to Subscribe to The Profit Here so you don’t miss a single monthly issue. You’ve heard it before, vandals and vacant property thieves have gutted the house of copper and on their way out have taken one of the most valuable system components, the AC unit! Help is on the way! Atlanta REIA welcomes Nancy and Remo Loyal with Steelworks LLC, manufacturer and full service installation provisions for outdoor AC security (anti-theft) cages. You may have seen steel cages surrounding these AC units before. All the custom steel AC cages from Steelworks are hinged to flip forward to give easy access for service calls or new installs. Their AC protective cage is comprised of four heavy 16 gauge wire mesh panels and one inch tubing framework. The cage prices include complete site installation and locks. Steelworks offers a wide variety of sizes of cages, the most popular being the standard size of 36 x 40 x 48. Custom sizes can be built for any unit or specification. As needed, Steelworks can also perform on site custom fabrication and any custom metal work that may be needed. If you need something quick, their standard size cages can be installed the same day if needed. 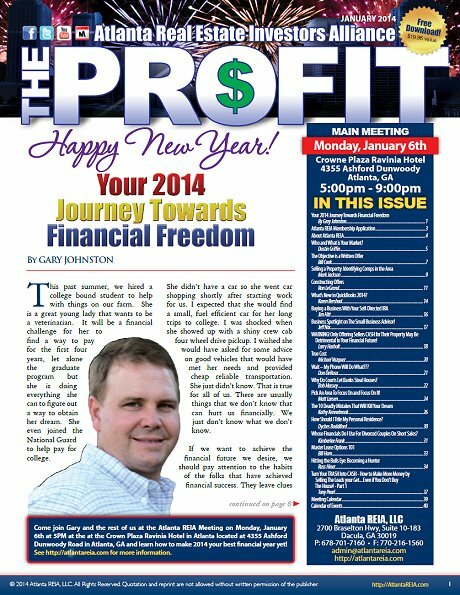 The January 2014 Edition of The Profit Newsletter is available for download just in time for our Atlanta REIA Main Meeting on January 6th. You can download The Profit Newsletter as a High Quality PDF or Low Res PDF for slower devices. The Profit is the official newsletter of the Atlanta Real Estate Investors Alliance and is a digital, interactive newsletter for new and seasoned real estate investors delivered as an Adobe PDF file to read on your PC, Mac, Smart Phone, iPad or other mobile ready devices with a PDF reader. Many of the articles and ads in The Profit contain many hyperlinks you can click or tap to visit websites, watch videos, listen to audios, download content, send emails, comment on articles, share socially and much more! The high res version of The Profit is “print ready” for those who want to print the newsletter on their home or business printer. Also, be sure to Subscribe to The Profit Here so you don’t miss a single monthly issue. Who and What is Your Market? What’s New in QuickBooks 2014? Atlanta REIA Business Spotlight on The Small Business Advisor! WARNING! Only Offering Sellers CASH for Their Property May Be Detrimental to Your Financial Future! Wait – My Phone Will Do What??? Why Do Courts Let Banks Steal Houses? Pick An Area To Focus On And Focus On It! How Should I Title My Personal Residence? 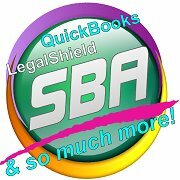 Whose Financials Do I Use For Divorced Couples On Short Sales? You’ve heard her at the monthly meetings, “I’m Karen Bershad and I am the Small Business Advisor!” Karen’s firm has been a business member with Atlanta REIA since it started and has been helping small businesses and their owners for almost 20 years. The past eight years however have been tailored to the specialized services for the Real Estate Investment industry. With 40 years of business experience in the area of ownership, management and a wide variety of other lessons learned, Karen Bershad provides a unique outlook on how businesses need to have their “back office” running smoothly. Most entrepreneurs don’t give it much thought, but as your business grows, it faces issues unrelated to producing the goods and services it sells. This inevitable trilogy of headaches includes legal, accounting and marketing decisions. Certainly life would be simpler if you could call in your accountant, your lawyer or whoever handles the marketing whenever the need arises.